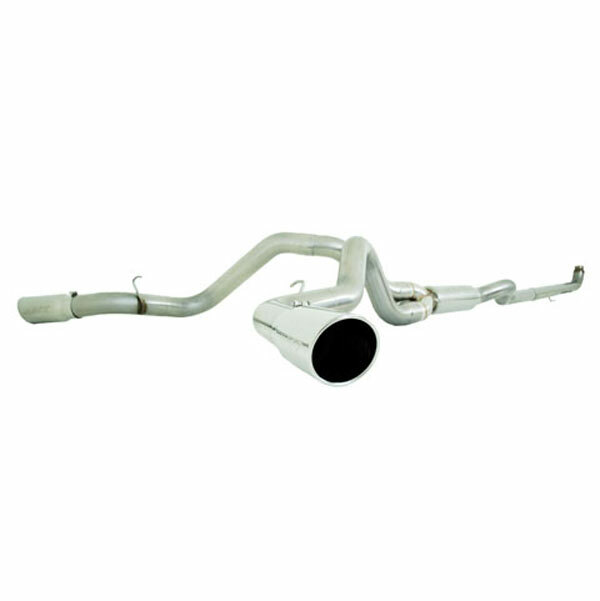 MBRP Exhaust S6006409 - MBRP GM Silverado Sierra 2500/3500 Duramax, Ec/Cc Down Pipe Back, Cool Duals, Off-Road Includes Front Pipe; 1992-2007. History and information about MBRP Exhaust and their products. For over fifteen years MBRP Performance Exhaust Inc. has been delivering performance enthusiasts the most in power, the most in product quality and the most in customer responsiveness. It all began with the now famous B&B Eliminator, which soon achieved the status as the best selling performance snowmobile silencer of all time. Starting from little more than a vision and an absolute passion for all things performance MBRP Performance Exhaust Inc. is now at the forefront of performance exhaust technology. Marshalling over ten decades of manufacturing and marketing expertise between them, the MBRP design team developed a line of performance diesel exhaust products that has made the rest of the industry take notice, and rush to catch up. Shop their most popular products, including MBRP diesel exhausts, down pipes and cat back kits. Reviews for MBRP Exhaust's Other products are show below. it sounds great standing still and in take off but on the freeway you are being vibrated out of the passenger compart ment. i wish they haddesigned them like the mustang gt factory mufflers where the drone goes completely away while on the freeway. Below are other popular parts other customers have purchased for their Chevrolet Silverado HD.